I’m finally getting around to building up one of the iPhone 4 HSMC Bridge boards. 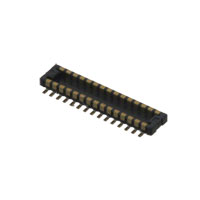 I got a pair of HSMC connectors (QTH-090-02-L-D-A) as samples from Samtec and spent way more time than I should have getting a thin bead of solder paste down along the center rail. The solder paste refused to stick to the board, preferring instead to stick to the pointy tools I was using to try to get it on to the board. Center rails. Great for SI, not so great for hand-soldering. Once that was done and run through the oven, though, I hand-soldered all the signal pins, getting only a few bridges due to my own impatience. I think I need an even finer tip iron. Anyway, with the bridges cleaned up, I then grabbed the actual LCD connector and soldered it down. There was a minor issue with the footprint but I thought I’d just messed up the footprint (it happens sometimes, especially when trying to make footprints that work with multiple vendors), so I kept soldering it down, mucking one of the pins up in the process. Luckily the pin wasn’t used, and I only caused minor damage. Once the part was finally soldered in I thought it would be a good idea to go back and just make sure I got the connector right. I didn’t. Something went wrong when I made the order and I accidentally ordered the connector that is on the LCD instead of its mating part. Now I have to pull that connector off the board, order the correct connector and solider it down. The footprint on the board was fine after all. 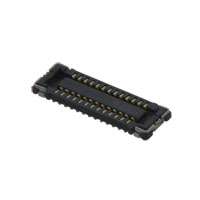 This is the connector I should have put on my board. I’m usually not this bad at soldering, nor am I this bad at fact-checking before starting. This was just one of those days where I should have left the soldering iron alone. Just testing to see what this looks like and whether it’s something I can use.